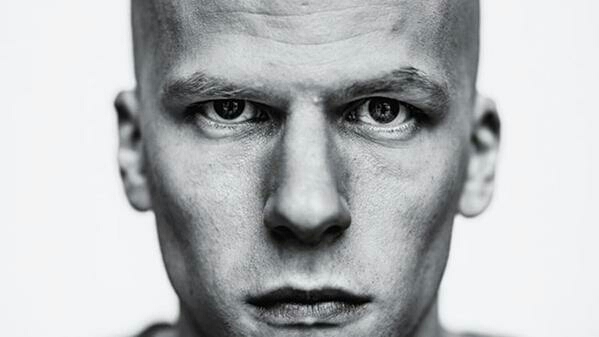 In a little under a month we will finally get to see Batman V. Superman: Dawn of Justice on the big-screen and one of the biggest questions on many fans minds is how Jesse Eisenberg's new incarnation of Lex Luthor is gonna stake up against the ones that have come before. With many fans doubting that Eisenberg has the right kind of gravitas to pull off such a multi-layered character like Lex Luthor. I for one, believe he will be a great Lex Luthor and have heard from many sources that Eisenberg actually, kind of, steals the movie, and is a force to be reckoned with. In a recent interview with Entertainment Weekly, Eisenberg spoke about playing Luthor and how he isn't trying to please the fans, that he is just interested in doing the best job he can do, for the good of the film. "Well, I don’t really have to necessarily account for what is expected. When I read the script, I thought, this character is rendered so incredibly well that I just have to do what I know I do well, and it will be a great character because the character is full of interesting, contradictory, realistic elements that make a character wonderful. And as an actor, those are the most comfortable and convenient characters to play. The difficult characters to play are the ones where it doesn’t seem like the character has been rendered realistically or with human feelings behind them. That wasn’t the case with this character." The actor than goes on to talk a little bit about, Lex Luthor's dual personality traits and how interesting it was to take on such a multi-layered personality. "He has a kind of charming public persona, and then a deeply private rage. And this is not only interesting as an actor to play, but I would say more realistic to how extroverted people like this, who are kind of leaders of big organizations, probably feel. You have to kind of put on a public front that appears genial and appears accessible, but you’re likely — if you’re very ambitious — harboring feelings of competitiveness, envy, and all these other things we try to avoid in public. So stuff like that was very interesting as an actor to explore. And then kind of coloring in that framework is somebody who’s also very clever and funny and emotional and vengeful." So what do you think? Will Eisenberg be able to pull it off? Can he really be believable as one of the most iconic villains of all time? Sound off in the comments and let us know. Batman v. Superman: Dawn of Justice hits theaters March 25th.